Electrical house wiring mistakes can be deadly, so make sure you hire a certified electrician.The potential damage from improper wiring is certainly not worth the money saved up during the basement renovations. Wires are rated according to the allowable amperage load. It is essential to be certain that you are using the correct wire for the job. twist the wires in tape, it is not the proper way to make the connection. The tape will become brittle over time and break; moreover, the adhesion of the tape will reduce over time. Overload your home’s electrical outlets or circuits. It could cause a fire. Connecting wires outside of electrical boxes,Will cause accidental damage and contain sparks and heat from a loose connection or short circuit. Book a consultation with our licensed electricians to upgrade basement wiring across Toronto, Brampton, Mississauga, Milton. 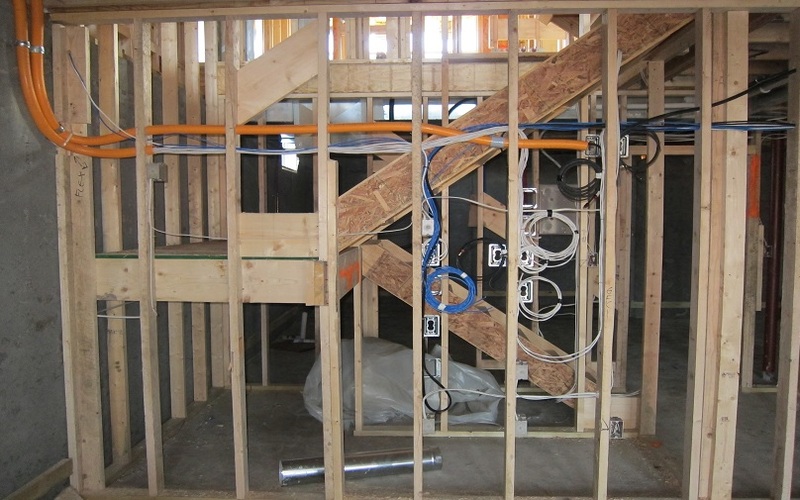 Certified electricians at H MAN ELECTRIC provide upgrade basement wiring across Toronto, Brampton, Mississauga, Milton, North York, East York, Oakville, Richmond Hill, Aurora, Newmarket, Brantford, Markham, Vaughan, Pickering, Ajax, Oshawa, Scarborough, Whitby & surrounding Greater Toronto Areas (GTA) for more than 10 Years.